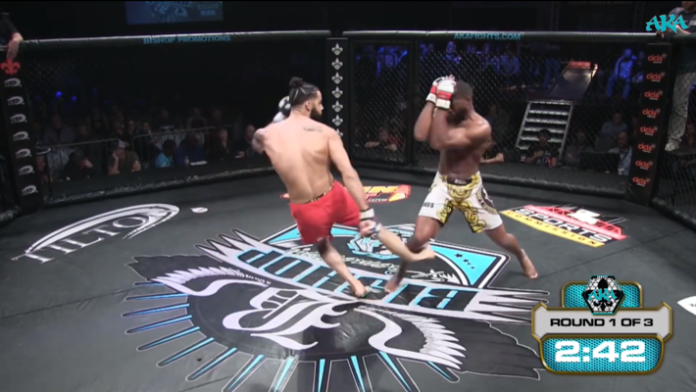 A leg kick went horribly wrong for a mixed martial artist recently. Jonathan King went one-on-one with Chris Williams last night (Jan. 5) on American Kombat Alliance’s “Right of Passage 6” event. The two engaged a bit early but disaster quickly struck. King threw a leg kick that was checked and the leg snapped. Fight fans are already having flashbacks of when Anderson Silva broke his leg attempting a leg kick, which was checked by Chris Weidman. Silva ended up recovering and has had four bouts since. MMA News wishes Jonathan King a full and speedy recovery.